The Town of Beaux Arts Village contracts with King County for animal services, including pet licensing. Dog and cats must be licensed annually, and the number of animals per household is limited to two dogs and two cats. The Town's regulations require that dogs be under voice or signal control or on a leash anytime they are off their owners' property. 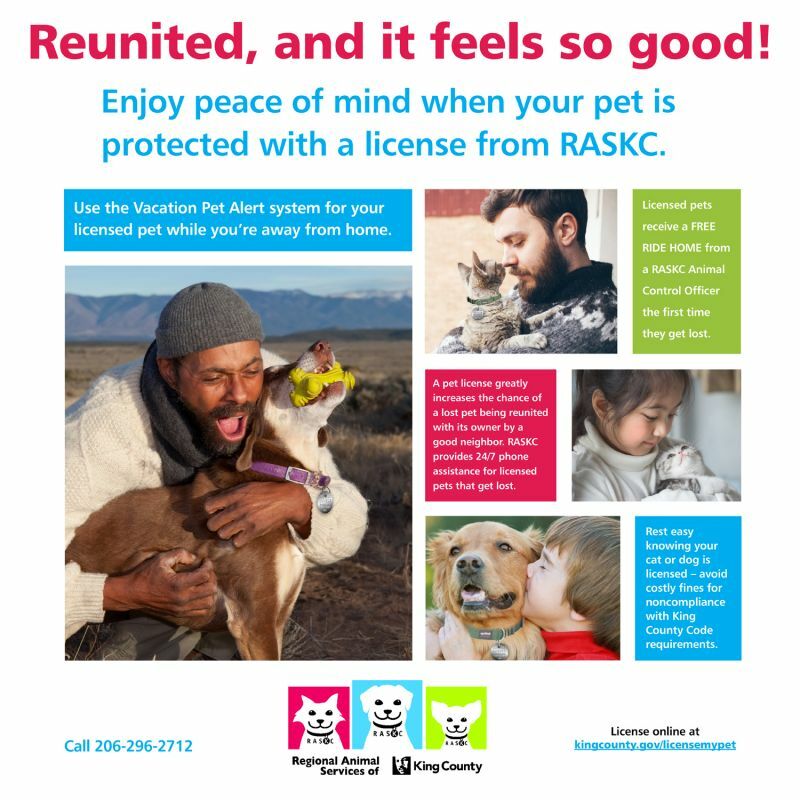 Regional Animal Services of King County (RASKC) does not patrol the Village, but they will respond to complaints of loose, nuisance, or noisy animals. Please contact RASKC with questions or complaints. WABA has additional rules pertaining to dogs on the beach; please review them before heading to the beach with your pet. There are many opportunities to volunteer here! Volunteers serve the Town as members of the Council and Planning Commission, assist with Blockwatch, and work on special Town Clean Up projects. They also serve the Western Academy of Beaux Arts as trustees on the WABA Board and assist with beach clean ups. Beaux Arts Village is blessed to have its own artisian well that supplies water to our residents. It's one of our most precious natural resources, and every drop counts . . . Licensing your pet helps fund the life-saving work King County Animal Services performs through their Pet Adoption Centers. More importantly, it protects your pet in the event he/she strays from home. Visit King County Animal Services for more information. Looking for a furry friend to become a part of your family? Consider adopting a dog or cat from a King County Animal Services Adoption Center. © 2019 Town of Beaux Arts Village, WA. All rights reserved.